Workshop hours are every Saturday morning from 10am to 2pm in the lower level of the beautiful Garvies Point Museum on 50 Barry Drive, Glen Cove, New York 11542. We serve coffee and some edibles. Club meetings are typically held monthly through the year on the first or second Saturday of the month. Those who are interested can participate in the whole process, or if you know parts of the process just participate in the parts for which you want, or need, a refresher. 11 Tools and Materials - types of waxes, hot knives, carving, engravers etc. He will demonstrate the burnout, and the casting everything beginning to end. Barbara Kruger gave a 3-5 week workshop on How to Do Cloisonné Enameling: June 9, 23, 30 July 7 and Aug 4. 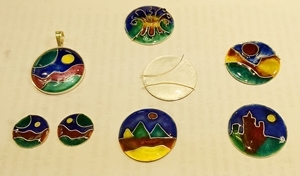 She introduced participants to cloisonné designs, incorporating closed cells, and/or open-wired patterns of wire on fine silver, and then, to the application and firing washed transparent enamels to add color to the design. 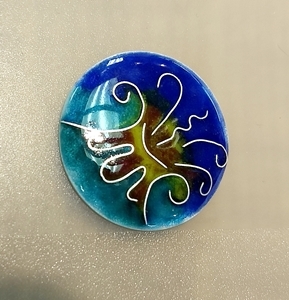 Enameling is a technique, or process, of fusing grains of glass powder onto metal under high temperature conditions (via a Kiln or torch). The participants received kits created by Barbara Kruger, Diane Angus and Elaine Grayson. The participants also received a handout with step-by-step instructions, exemplar designs, and materials to create their own design. The master pieces created at the workshop were quite nicely done and attractive. With a creative group, as NMC participants are, the application of color didn’t stick to any rules. 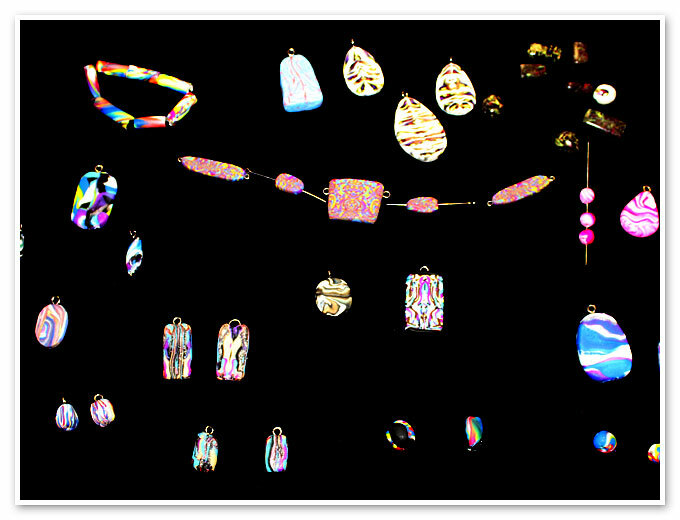 While color is often the same (or shaded) within a closed cloisonné cell, several used open wire designs with shading. Here are some of the participants and some examples of the participants’ work. Spring will be May 20 - 26 and will feature Renée Newman as Speaker. 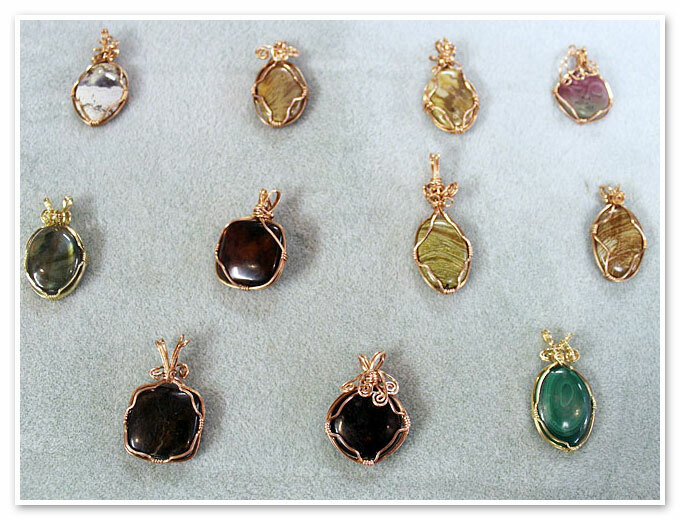 Renée is a graduate gemologist (GIA) and is the author of a variety of consumer guide books to buying gems. Fall will be September 2 – 8 and will feature Elise Skalwold as our Speaker. Elise Skalwold is an Accredited Senior Gemologist, independent researcher, educator, author, and photographer. Haven't heard or attended one of our Wildacres Workshops? Visit the website (efmls-wildacres.org) and find out what you've been missing. The Wildacres Retreat is like no other place you've ever visited. The retreat is located on its own private mountain just off the Blue Ridge Parkway in Little Switzerland, NC (about an hour north of Asheville). The privately held facility features comfortable bedrooms, well-equipped workshops, meeting rooms, a comfortable dining hall, and wonderful mountain vistas. Food is good, the air is clean and free from city noises, car horns, blaring radios, etc. What a wonderful place to rest, relax and learn. Class size is kept at a low level in order to ensure proper attention from your instructor and availability of equipment. Registration for either session begins January 1 and we encourage you to do so early in order to have a good shot at being enrolled in the class or classes of your choice. The cost for the workshop remains low -- $425 per person (room and board). There is a slight extra charge for materials used in the class or classes you take, but you get to take home your finished projects. Visit the website, download the registration form and send it in so you won't miss out on the week of fun at the EFMLS Wildacres Workshop. Chainmaille is made up of a pattern (called a weave) of interlocking rings. Learn the tips and tricks of making beautiful jewelry. Diane Angus will demonstrate the process of making a one by two triple chainmail Bracelet. Your kit will have copper jump rings and a clasp to complete one 7-8 inch bracelet. If you chose to use other metals, such as sterling silver, brass, bronze, etc., you may bring your own rings. Recommended size is 18ga 6mm jump rings. 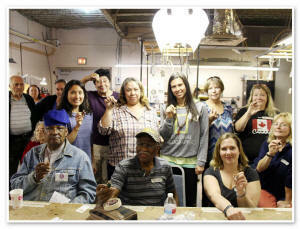 Diane Angus will teach us how to create a pendent using the Natasha technique. 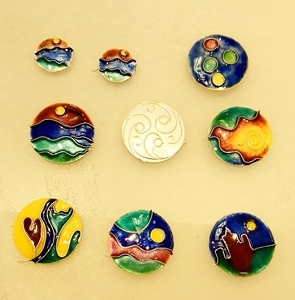 This is a fun way to make polymer clay jewelry. By pressing pieces of clay together, and with a few twists and turns, you can create intricate designs. This technique is not complicated to do; if u are new to working with polymer clay you can make Natasha jewelry one of your first projects. Madelyn Todd will offer a Workshop on mineral recognition with examples of lapidary material - finished polished stones - that will be reviewed. The goal is to learn how to recognize and name mineralogical stones, rocks, slabs. We are asked to bring lapidary material for which we know the name so that they can also be also be viewed, discussed, recognized and named. Boris Goynatsky will teach us how to create many different textures on metal. The techniques will primarily use the Foredom tools. Tools will be available. Kits of the burs, discs, etc. used will be available for purchase. If you want, bring the tools of your choice and small pieces of metal to texture. Join us on Saturday, May 21, 2016 and create a beautiful Viking weave necklace or bracelet. Kits containing the material needed will be available to members for $15. If seating is available, non-members will be charged $20 for kits and instruction. Bring your own jewelry pliers (assorted selection) and wire cutter. Chainmaille is made up of a pattern (called a weave) of interlocking rings. Learn the tips and tricks to making beautiful chainmaille jewelry. Diane Angus will demonstrate the process and we will be making a 7 inch Byzantine Chain. 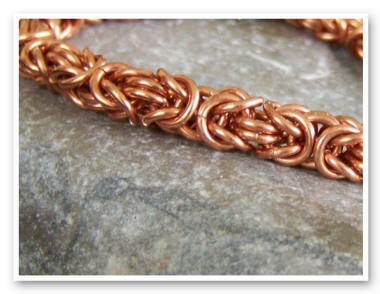 Copper jump rings and a chain-making loom will be available for $12. If you choose to use other metals such as sterling silver, brass, bronze, etc., you may bring your own rings (we recommend 18ga with a 4 mm i.d.). You will need approximately 170 rings. This Workshop is limited to the first 12 NMC applicants. 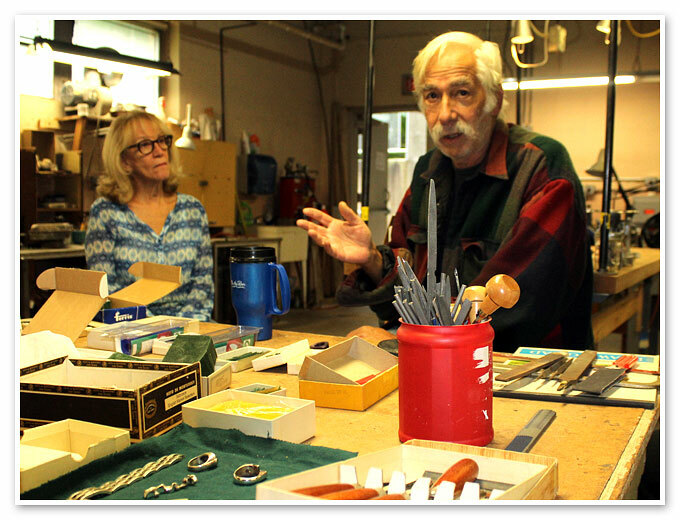 The Nassau Mineral Club will be offering workshops for Jewelry wax carving at Garvies Point Museum on Long Island, NY with Master Jewelry Wax Carver – Boris Goynatsky. 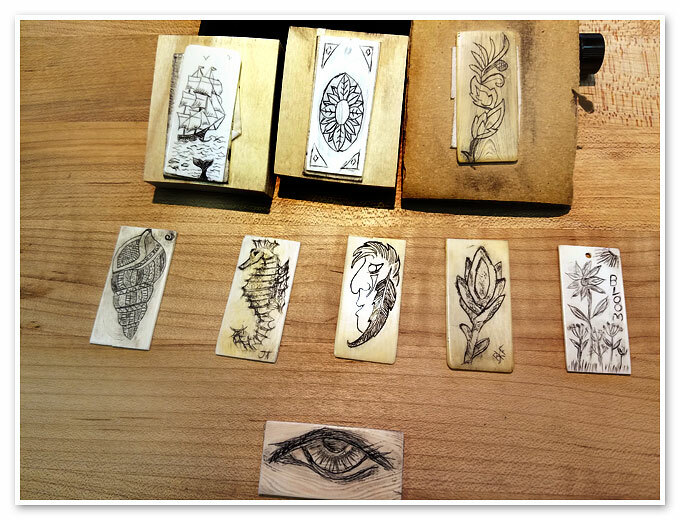 This is your chance to learn the art of wax carving jewelry and design with an expert NYC teacher. Watch a full 25 minute workshop demo here! In 2014, Charles, Eric, and Joe from the Nassau Mineral Club found a fantastic Herkimer Diamond. All Nassau Mineral Club members are welcome to mine this private site located in beautiful Fonda, NY. The actual Herkimer Diamond found in the video was bigger than a golf ball! Click to watch the actual discovery footage. It is with deepest regret and sadness that we announce the passing of Madelyn Todd. The Nassau Mineral Club, Inc. The Nassau Mineral Club is a 501c3 organization and accepts donations of supplies and equipment used for lapidary, faceting, jewelry making, casting, or enameling. Please inquire for a visitor tour!